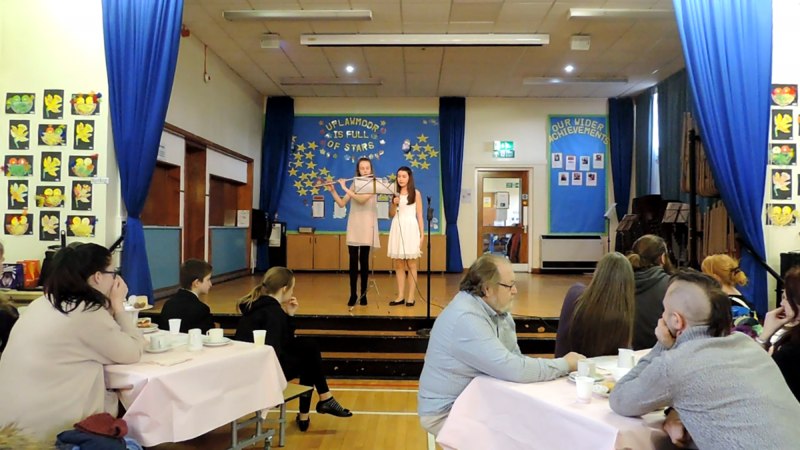 The talented boys and girls of Uplawmoor Primary School entertained friends and family of Uplawmoor today at our Easter Spring Tea event. 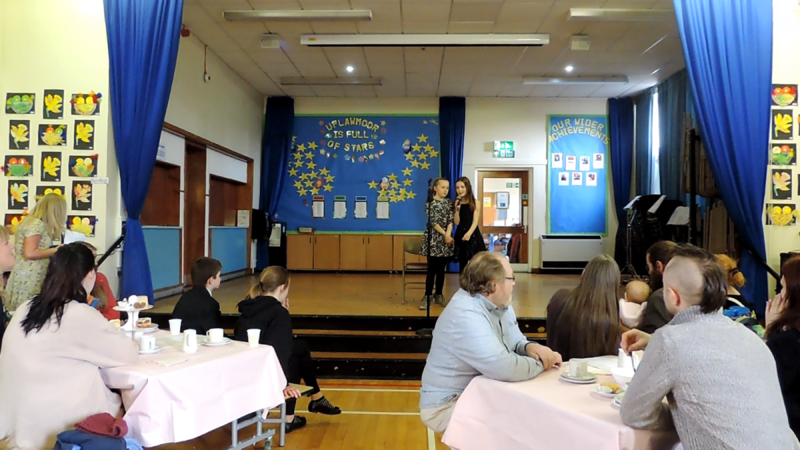 The audience were entertained with singing, dancing, acting, music and even a comedy show! 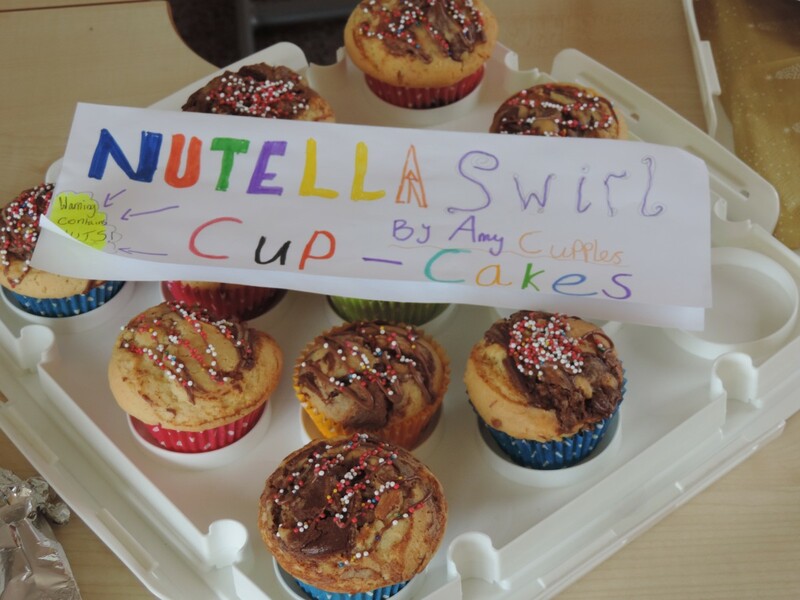 A big congratulations to Cayla, Mrs Sanders and Arrah who all won our Bake-Off competition. 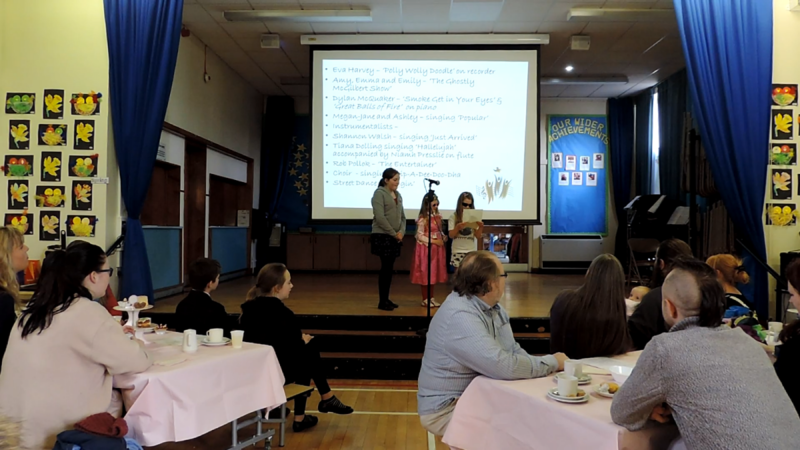 The standard was extremely high and everybody thoroughly enjoyed the delicious cakes, biscuits, loaves and cupcakes! 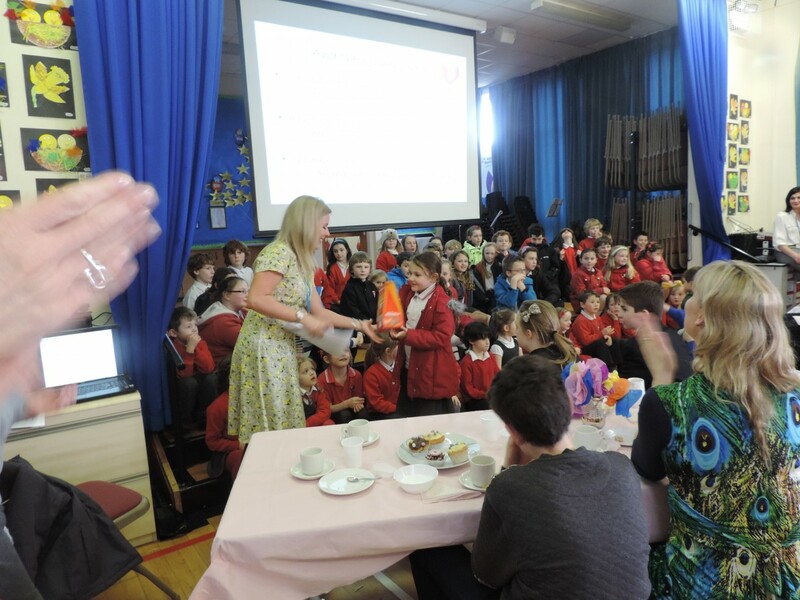 Also, well done to Megan-Jane who won our online Easter Egg hunt. 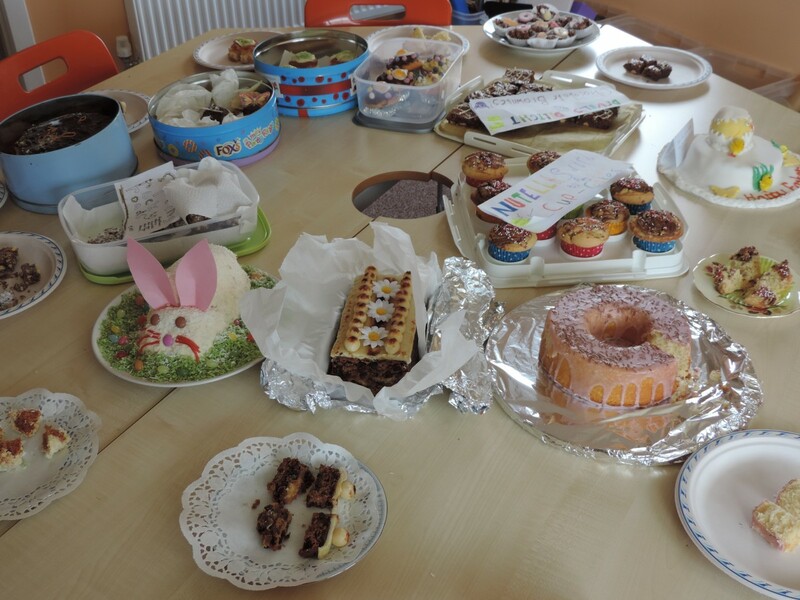 Thank you to everybody who came along and thank you to each and every person who took the time and effort to bake for the event. 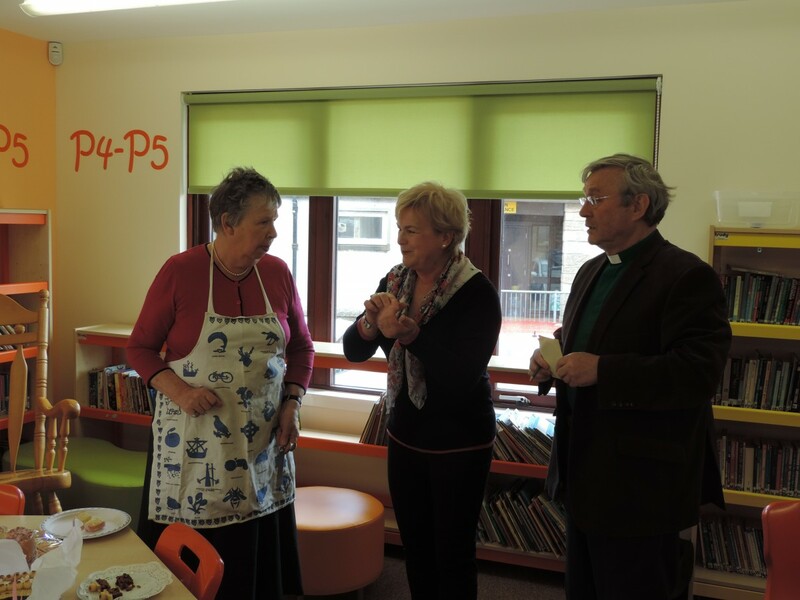 We will be at the church at 1.30pm (school closes at 2.30pm). 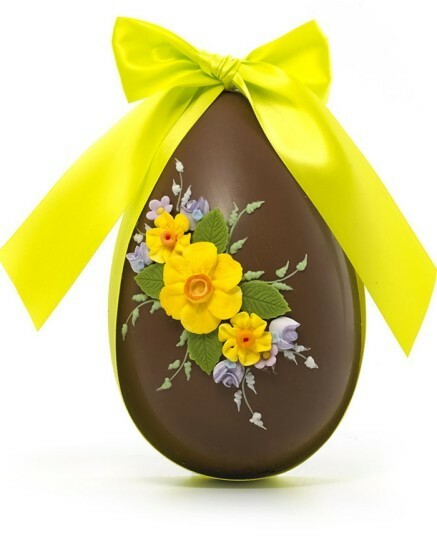 All the pupils and staff of Uplawmoor Primary would all like to wish you a Happy Easter! 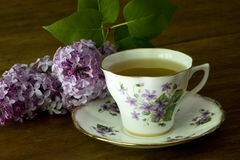 The Spring Tea is taking place on Wednesday 1st April at 2pm. 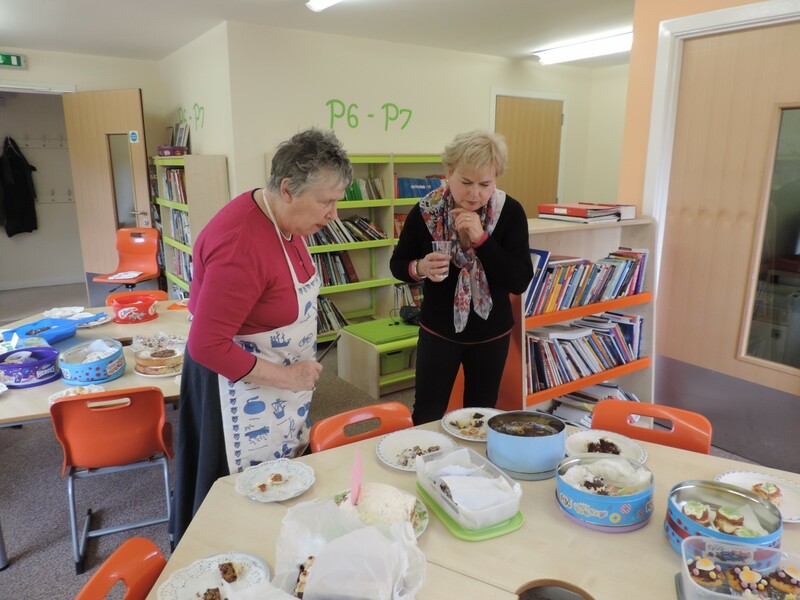 Guests can enjoy refreshments, home-baking and some entertainment from our pupils. 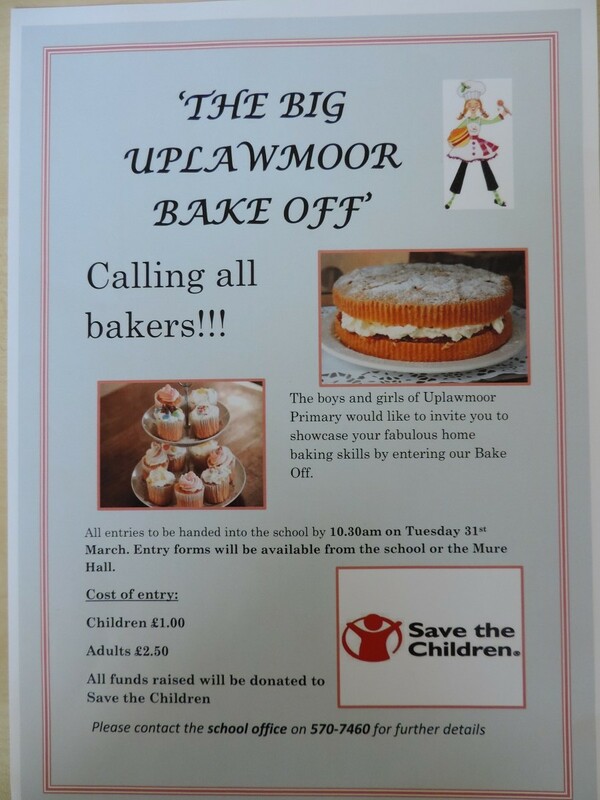 Tickets can be purchased from the school for a cost of £1.00. 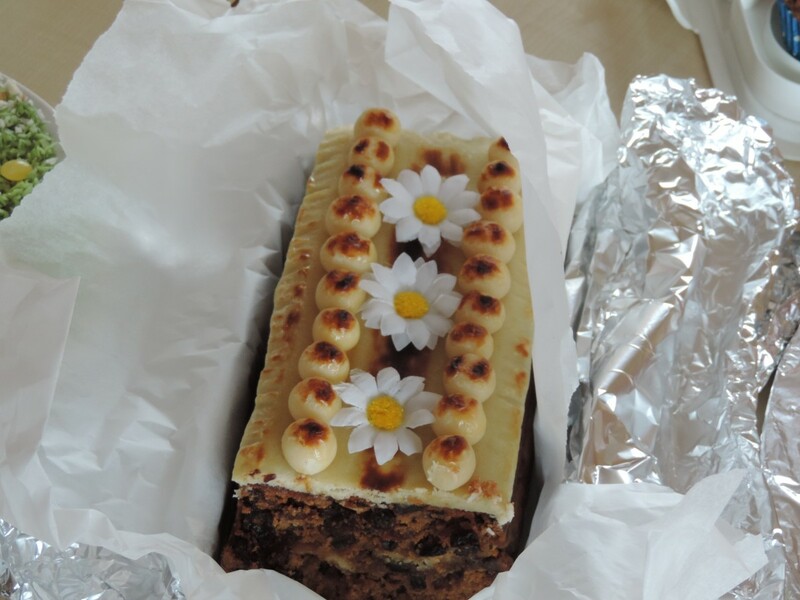 At present there is only 1 ticket per family and the proceeds will all go to Save the Children. 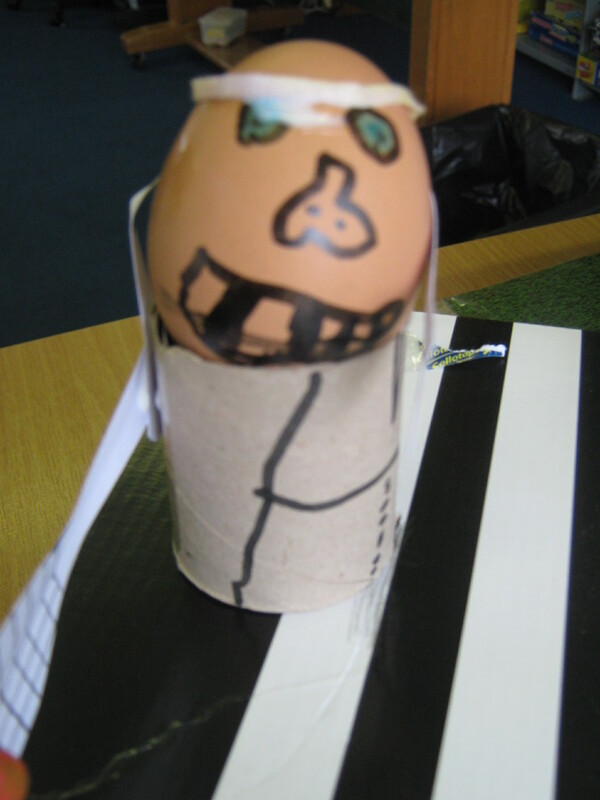 The boys and girls had eggcellent fun yesterday during our Easter afternoon. 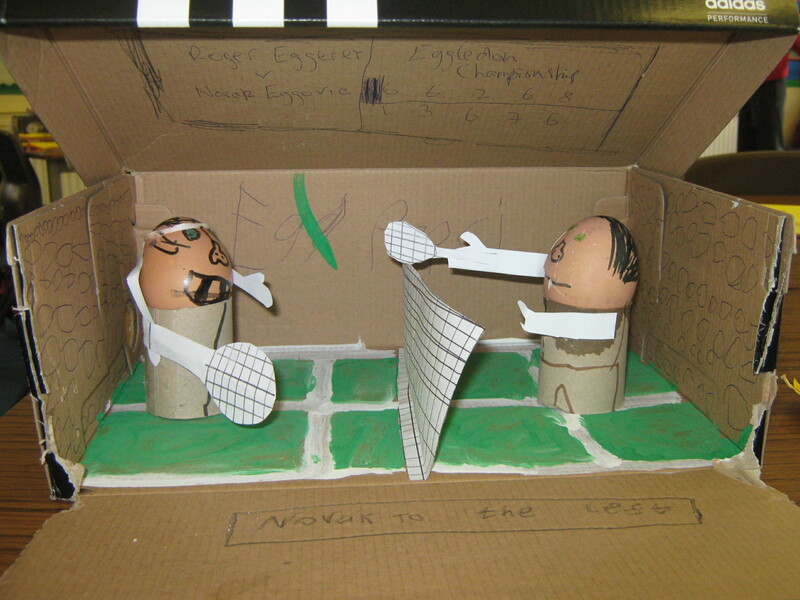 Children had the opportunity to visit each class to see their egg creations and read all about their eggy adventures. 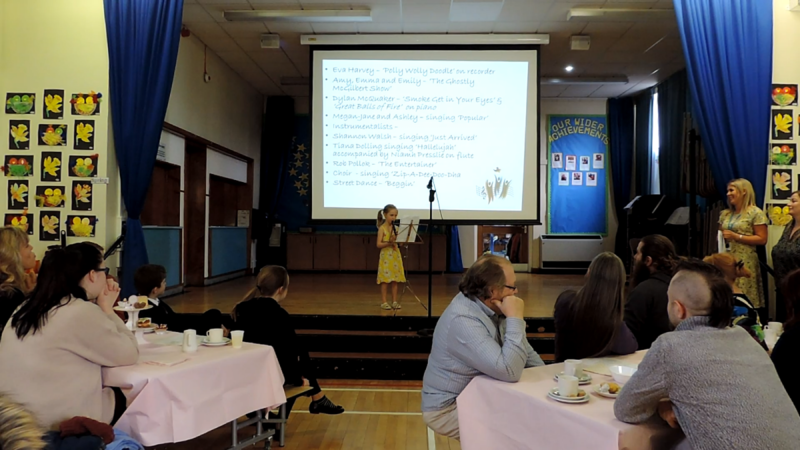 The children showed great imagination and creativity and parents, staff and pupils had fun reading stories such as, The Egg Factor, Eggy and Furious, The Talented Egg, Novak Eggovic goes to the Jungle and Eggy Weggy on a Beachy Weachy. 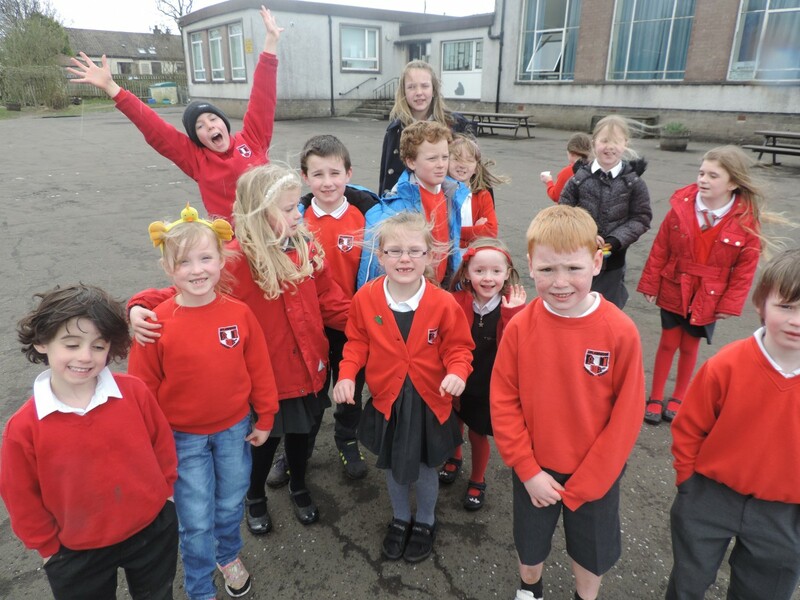 The children participated in a treasure hunt in their houses and were rewarded with a creme egg! 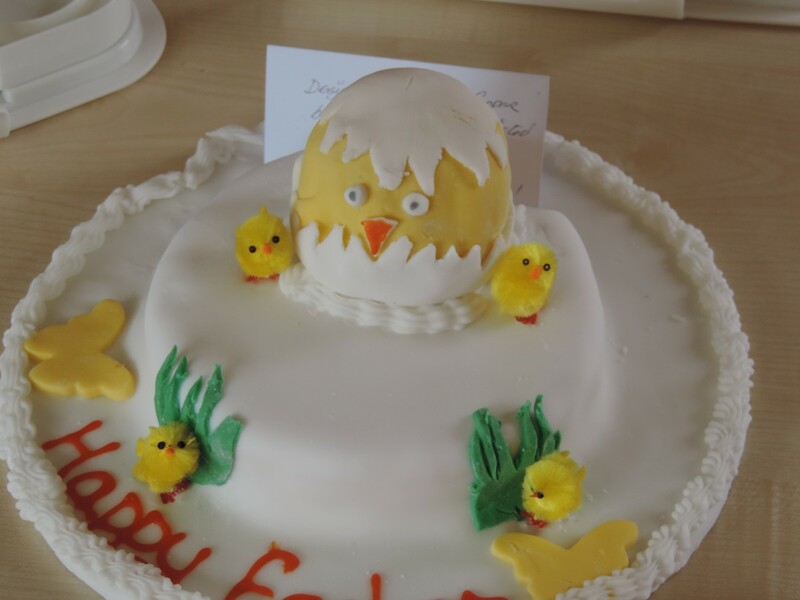 HAPPY EASTER FROM EVERYONE AT UPLAWMOOR PRIMARY SCHOOL!